With 11 teams, We have setup the schedule so everybody plays each other once. On May 20th, we will have the playoffs. Everyone will have one game with the winners of the semi finals playing a second game in the Championship game. Stop by the bar Monday nights for $10 pitchers of Goose IPA, Yuengling, and Bud Light!!! Grab a pitcher and watch the replay of your game in the bar with Live Barn. Share the highlights and submit them for the plays of the week! 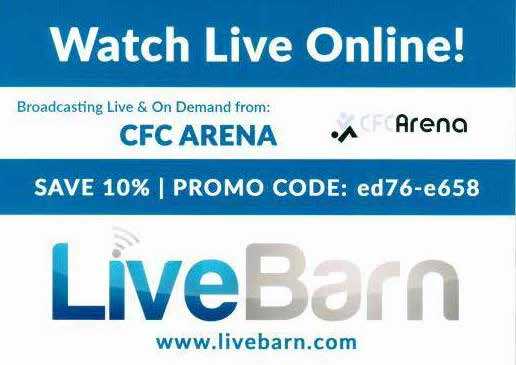 Watch the action at the CFC Arena broadcasted via LiveBarnSports. Watch Live & On Demand. Anytime. Anywhere. Watch the entire game and create highlight clips afterwards! We have plenty of parking at the CFC Arena. Please do not park in "No Parking" spaces or in unmarked spots. Area businesses need to have their cars and trucks drive through the parking lot. 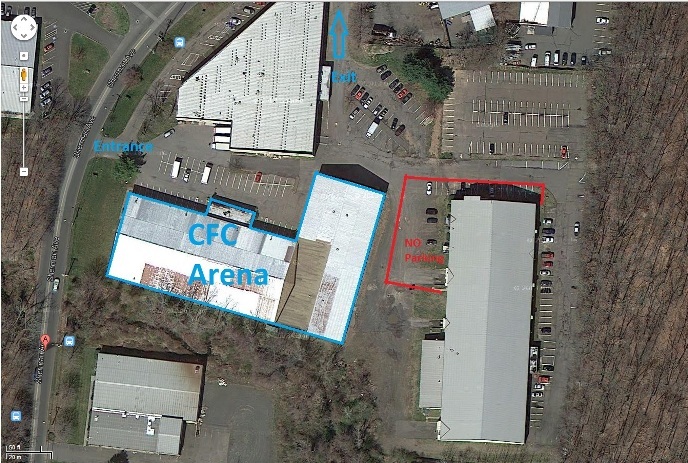 Cars parked illegally or next to another building besides the CFC Arena will be towed. · If time is allotted for the final, a 5 minute golden goal overtime will be played and then a penalty kick shootout (5 players) to determine the winner of the final game. As we finalize the full schedule, you will see it posted and then some final adjustments and some game times may change. The schedule will be finalized and set by Wednesday, Feb 6th at 10PM. Please do not share the schedule or make game plans until then. Please let all of your players know. As always, keep checking this League News section for the latest info! Former CFC player, Taylor Healey, is the founder of Packs for Purpose. WShe is reaching out to you for help in empowering the homeless population of New York City. Upon entering any Youth or Adult shelter, individuals are given garbage bags to carry their belongings - we want to change that. Our mission is to decrease the stigma of homelessness by providing sustainable and functional backpacks and duffle bags to unsheltered poverty survivors. Please help us by bringing any unwanted and unused backpacks and duffle bags to the CFC Arena. Any donations would be greatly appreciated. Contact team@packsforpurpose.org if you have any questions or would like to know more. The schedule will be finalized and set by Tuesday, Jan 29th at 10PM. Due to the storm, session 2 boys leagues will be postponed until Sunday, Feb 2nd. The first week scheduled will be released shortly. As always, keep checking this League News section for the latest updates. We have posted the week one schedule for Saturdays. Please realize games times are a bit earlier than they will be in the future weeks. We will continue to update you in this "League News" section. Please let all of your players know where it is to see the latest updates and news!! Due to the incoming storm, we are going to wait until Jan 21st to release the first week schedule. If no games are cancelled on 1/19 and 1/20 then the first week of games will be 1/26 and 1/27. Please keep checking back to this League News section for the latest updates! Amity is looking to play later games. Please email info@cfcarena.com if your team would like to play earlier on 1/19, 1/26, 2/2, or 2/9. Thanks! Outdoor cleats are not allowed on the CFC Arena turf. Indoor shoes, turf shoes, or sneakers can be worn. 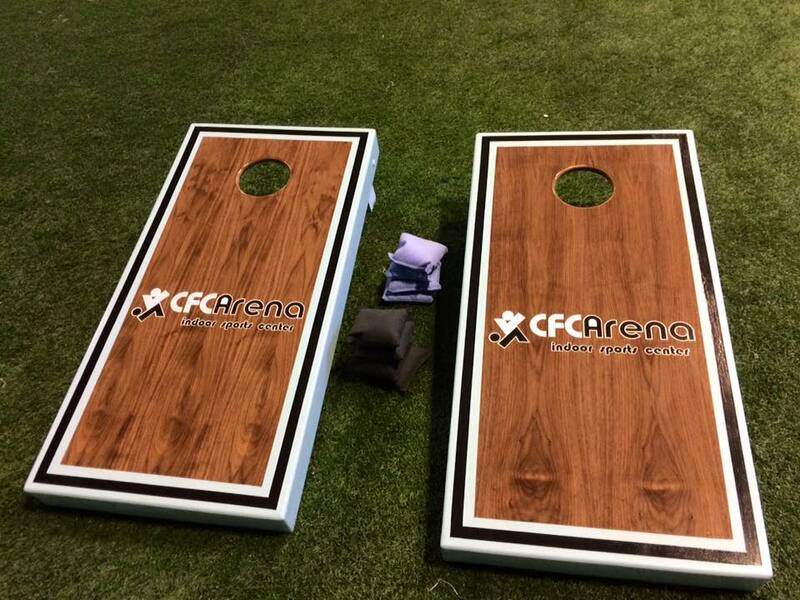 The CFC Arena promotes good sportsmanship by all of our teams, players, parents, spectators, coaches, administrators and referees, and expects the support of players and officials in a positive manner. Profanity, racial or sexist comments, or other intimidating comments or actions directed at officials, players, coaches, team representatives, or spectators will not be tolerated and are grounds for removal from the CFC Arena and future disciplinary action. We want to promote fair and equal play in every game. For youth soccer games, if a team is up by 6 goals, a player must be removed from the field by the winning team. If the score falls back below 6 goals, a player can be added back on to make it even. If a team is up by 10 goals, another player must be removed (down 2 total). Please help us in supporting fair play as our players continue to grow and learn on and off the field. The first week schedule has been released. The full season schedule will be released after week 1. All league fees need to be paid before your team takes the field on week 1. If there is bad weather, we will post the status on our website and Facebook page. Monday Corn Hole Starts Jan 14th! Sign your team up now for the Monday Night Corn Hole League!!! We want to invite you and your team to the CFC Arena Holiday Party Thursday (12/20) evening after your game. We will be wrapping gifts for children in the area who are not as fortunate as some of us. Donato Cappetta is leading the charge as Santa. For anyone that would like to donate to this cause, feel free to see him on Thursday. His elves have already bought all of the gifts! We will close the kitchen on Thursday so teams will be able to bring in outside food, appetizers, and dips to share with each other. The CFC Arena will have snacks available for all as well! If anyone would like to help wrap gifts or wrap some of their own gifts please feel free to bring them in. We hope to see everyone Thursday night! Join Nor'easter Lacrosse this winter at the CFC Arena! We have an additional 2 more teams looking to join this bracket. This Sunday's schedule is set (Dec 2nd). Once we have final confirmation from the other 2 teams, we will post the full season schedule.